The Nordic state’s $1 trillion wealth vehicle lost money in 2018. A political mandate that obliges it to hold more equities rather than diversifying its exposure explains why. Even if these shackles were removed, the fund’s size complicates efforts to rev up performance. 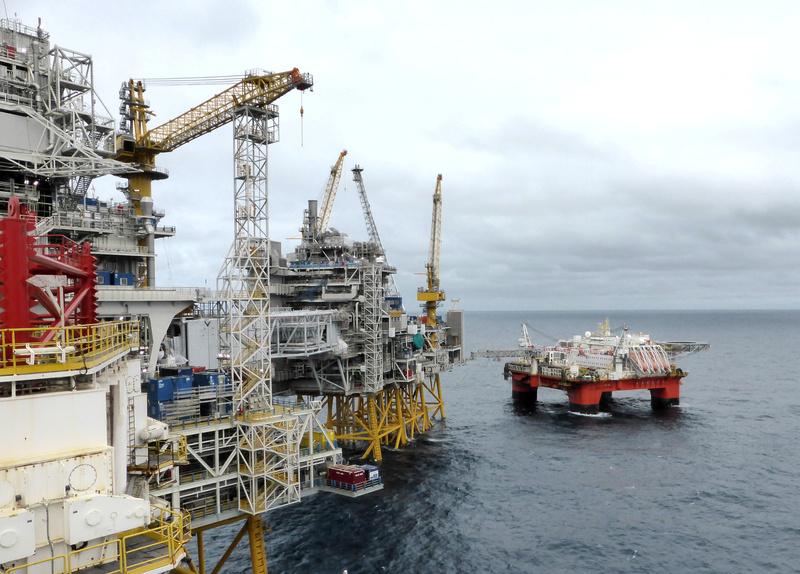 A view of oil platform in Johan Sverdrup oilfield in the North Sea, Norway August 22, 2018. Norway's sovereign wealth fund said on Feb. 27 that it made a minus 6.1 percent return on investment in 2018, compared with a positive return of 13.7 percent in 2017. The fund, called Government Pension Fund Global, bought 185 billion Norwegian crowns ($21.7 billion) worth of equities in the fourth quarter of 2018, but the fund overall lost 485 billion crowns ($56.9 billion) during the year. The loss meant the fund lagged the benchmark index against which it is measured by 0.3 percentage points. Its value slipped to 8.3 trillion Norwegian crowns ($967 billion) at the end of 2018 from 8.5 trillion crowns in 2017. However, the fund said that market gains so far in 2019 had wiped out last year's losses.